Perfect for a gift or for your own use as an introduction to aromatherapy. The aroma from essential oils can trigger powerful emotions or physical responses, such as becoming more relaxed, being able to sleep, improving well-being, reducing stress and encouraging healing. Aromatherapy is designed to treat the whole body, rather than targeting the symptom or disease. It assists the body's natural abilities to maintain balance, repair and recover. From Ancient Wisdom, a trusted brand renowned for the high quality and purity of its essential oils. Ethically sourced from countries around the world. The plants used for these oils have each been delicately harvested and steam-distilled using the latest techniques to bring you maximum unfiltered, undiluted all natural relief and comfort. 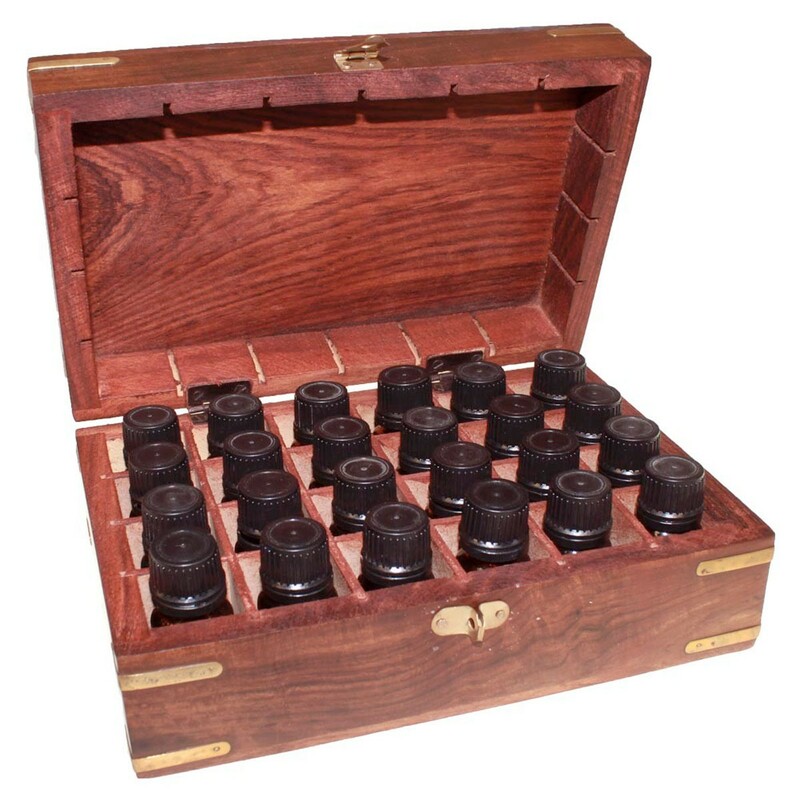 1 x Wooden Aromatherapy Box 108 x 80 mm, made from sheesham wood (also called Indian rosewood) bought from sustainable sources, to hold the 6 x 10ml aromatherapy bottles. Please be aware that, due to the hand-crafted nature of these boxes, designs do vary. The box holds standard aromatherapy 10ml bottles to maximum height of 65mm and approximate diameter of 25mm.